Syfy’s Monday night Summer shows Warehouse 13 and Alphas have been having a rough season so far and received no good news from the Nielsens for their latest airings. Their numbers in the 18-49 demographic have been down this season, though the total viewers they have been attracting have been holding up okay. But for this past Monday, the total viewership dropped for both shows. 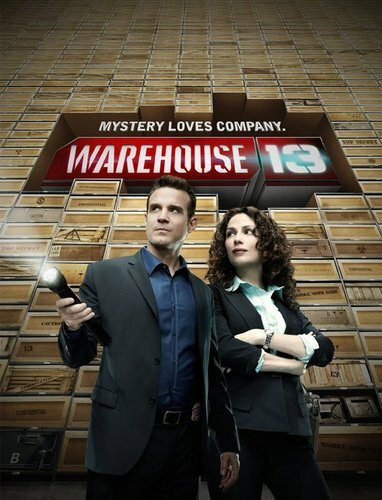 Warehouse 13 dropped from 1.9 million viewers for its previous airing to 1.66 million and Alphas dropped from 1.7 million all the way to 1.32. I guess they can consider it a consolation prize that their rating in the 18-49 demo at least remained stable with both shows pulling a 0.5. The fact that there was a one week break between the airing of new episodes may have partially contributed to the drop, but how many excuses can these shows resort to before their network starts to loose patience? And just how many episodes of Family Guy and Pawn Stars (pretty much all repeats) ranked above these two scripted series delivering new episodes on Monday night? (You can see for yourself at this link.) I’m giving them one more week before I raise their Cancellation Alert status, but they need to show some significant improvement for me to keep them at their current level of Low. Except for these two shows, the Summer season has pretty much played itself out, and next week NBC gets the Fall season kicked off early with the debut of Revolution on Monday, September 17th. You can see my Cancellation Watch Fall 2012 preview at this link, and check back next week for the early returns on the new season. Also, starting this season, I have set up the Cancellation Watch Twitter site where I will post quick ratings updates as they become available as well breaking cancellation/renewal news and announcements on upcoming science fiction and fantasy shows. You can follow the site at this link.